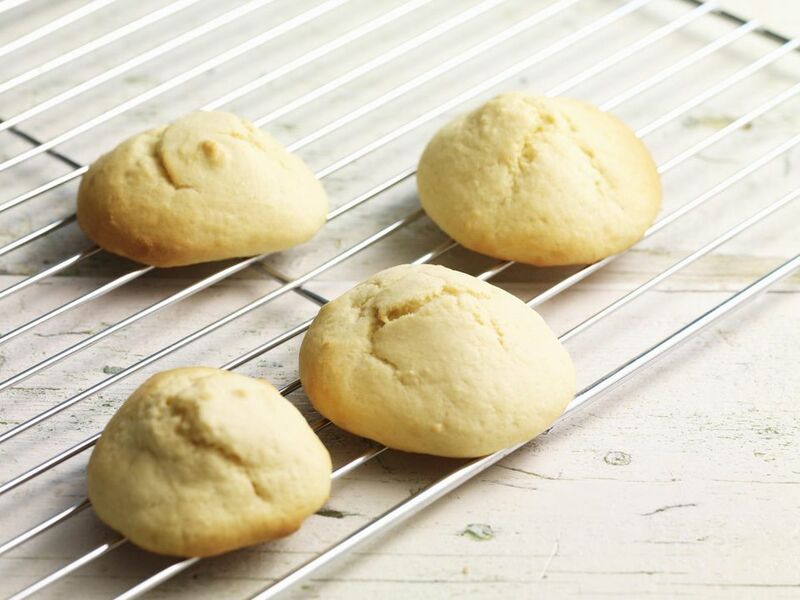 These shortbread cookies are easy-to-make treats that are also easy to make your own. Feel free to add melted dark chocolate or a simple sugar glaze to your cookies once they've cooled! Preheat the oven to 350 F. Line a large baking sheet with parchment paper and set aside. In a large mixing bowl, beat the soy margarine using an electric hand mixer until creamy. Add the confectioner's sugar and beat until well combined. Gradually add the flour and salt until the mixture forms a thick, soft dough. Form the dough into 1" balls with your hands, placing on the sheet as you work. Using your fingers, depress the balls into discs about 1/4" thick.